The Boeing Company, a US multinational corporation, is known as both one of the largest commercial aircraft manufacturers and the fifth biggest defence contractor in the world. 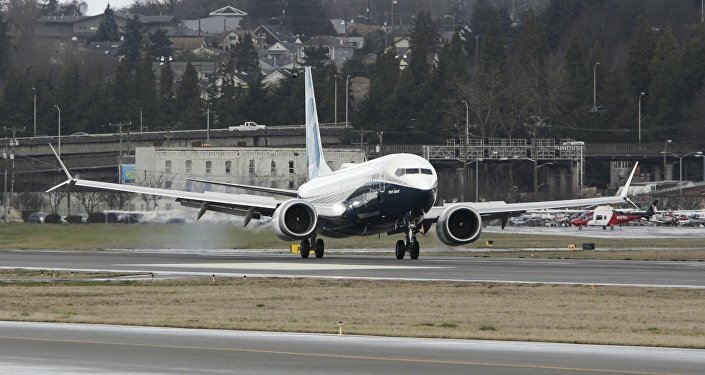 Two recent catastrophes involving the company's top-selling Boeing 737 Max airliners on 13 March 2019 in Addis Ababa and on 29 October 2018 in Jakarta have sparked concerns about the corporation's military wing's sustainability. To date, more than 30 countries, including the US, have banned all 737 Max jets from their skies. The aircraft's state-of-the-art Manoeuvring Characteristics Augmentation System (MCAS) software, developed specially for the jet, was blamed for the two aerial disasters, which occurred within minutes after the airliners took off. An initial investigation of the Lion Air Flight 610 disaster in October 2018 suggested that a flawed angle of attack (AOA) sensor had triggered the MCAS that pushed the nose of the plane down. Furthermore, The New York Times broke that "in the case of the Max, many pilots with 737 experience learned about the plane on an iPad". 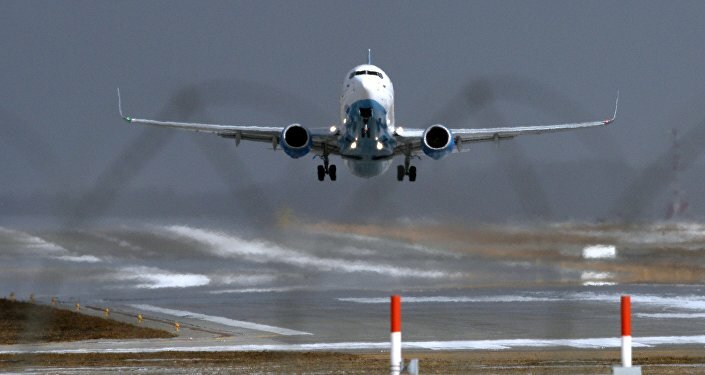 "I suspect the issue with the Max boils down to the understanding by the pilots on how the MCAS works", James Durojaiye, an aviation lawyer, told Sputnik. "They were probably not trained to handle it. It's a serious problem and it explains why many countries grounded the aircraft". Sean Broderick, a senior air transport editor of Aviation Week Intelligence Network, echoed Durojaiye: "Boeing underestimated the magnitude of the change that MCAS brought to the system, did not adequately analyse MCAS's failure scenarios, and put too much reliance on pilots being able to deduce a stabiliser trim malfunction and shut the automatic trim (which MCAS triggers) off", he said. Why Trump is Overlooking Flaws in Boeing's Military Wing However, Boeing's apparent technical failures that claimed the lives of 346 people in half a year also raise questions about the quality of its military equipment. "I have no doubt there are perhaps issues with military versions, but this information is hardly disclosed, much less detailed to the general public, therefore I cannot voice any accurate opinion on this", aviation analyst Eddie Miceli suggested, commenting on the issue. The analyst's remark rings alarm bells, since in 2018 Boeing won several billion contracts with the US Air Force. In particular, the US defence contractor won a $9.2 billion contract to produce the US Air Force's next-generation training jet, an $805 million contract to build the Navy's first four MQ-25 unmanned tankers and a contract worth up to $2.38 billion to manufacture the Air Force's Huey replacement helicopter. Boeing remains the Pentagon's second major defence contractor. In particular, Donald Trump's 2018 defence budget provided a substantial boost to Boeing's F/A-18 Super Hornet strike fighters, envisaging both modernisation of old warplanes and acquisition of new ones. ​However, although the Super Hornet is not as expensive as Lockheed Martin's much-discussed F-35, it has certain flaws. The same month as the Trump administration requested the Congress to fund 24 new F/A-18 fighter jets equipped with the latest stealth technology, the Associated Press reported about a Super Hornet crash in Florida on 14 March 2018. Then, on 4 October 2018, an F/A-18F flying out of Naval Air Station Lemoore with Strike Fighter Squadron 22 made an emergency landing after its right engine caught fire, according to the Navy Times. 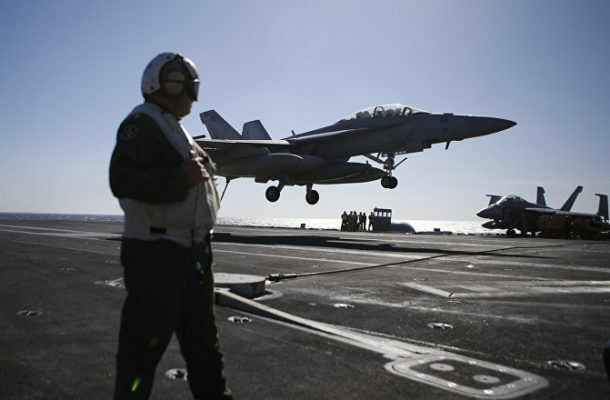 In November 2018, The New York Times reported about an F/A-18 Super Hornet's technical problems that resulted in the plane crashing northeast of the Philippines. Earlier, in August 2017 an F/A-18E Super Hornet from Strike Fighter Squadron 146 went down due to "dual failures of the engines' exhaust nozzles". In December 2016, The National Interest's Dave Majumdar wrote an op-ed eloquently titled What's Wrong With the U.S. Navy's Boeing F/A-18E/F Super Hornet Fleet? that shed light on Boeing F/A-18E/F Super Hornets and EA-18G Growlers' cabin decompression and oxygen deprivation problems, in particular related to the On-Board Oxygen Generation System (OBOGS) system. Majumdar highlighted that "the F/A-18 fleet experienced 297 'physiological events' from May 2010 through October 2015", citing Navy documents. While in late January 2019 The Nation hinted at the apparent "conflict of interest" involving Boeing and the Trump administration, the recent Ethiopian Airlines Flight 302 tragedy prompted The Hill to raise the alarm over the apparent "corruption" in the company and the Federal Aviation Administration (FAA) under Trump. The Hill drew attention to the fact that "once considered the 'world's gold standard for aircraft safety', the Federal Aviation Administration (FAA) was conspicuously slower than the rest of the world to take appropriate action after a tragic airline crash". Citing sources familiar with the matter, The Wall Street Journal reported 18 March that Federal prosecutors and Department of Transportation officials had launched an investigation into the development of Boeing's 737 Max planes and the Federal Aviation Administration's approval of the airliner. FAA and Boeing Should Share Responsibility for the Crash However, speaking to Sputnik, aviation analyst Eddie Miceli expressed doubts that the ongoing scandal over the 737 Max crash would affect Boeing's leading position as a major US defence contractor: "It is a complete different branch of aviation, and any concerns or flaws have always been addressed and corrected internally and without disclosing them to the general public". Durojaiye seemingly shares a similar stance: "I doubt if the technical issues Boeing are having will affect the cooperation it has with the US Air Force". "This is not the first time Boeing is having technical issues. The last time that happened was with the 787 in 2013 and yet it did not affect the relationship it has with the airlines that have been dealing with it", he said. Echoing The Hill's concerns, the aviation specialist emphasised that the FAA shares responsibility for the crash. 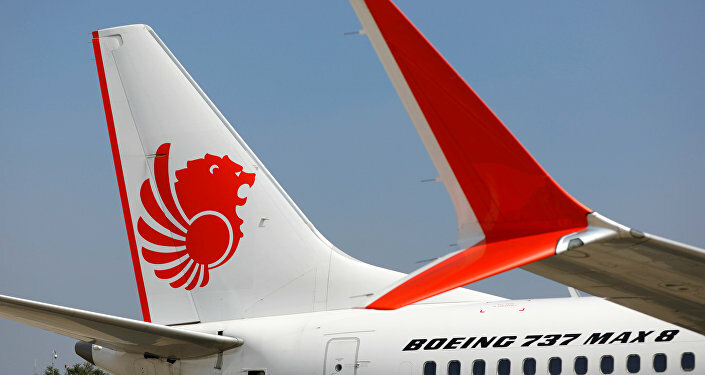 Earlier, on 17 March, The Seattle Times reported that FAA managers had "delegate[d] safety assessments to Boeing itself, and to speedily approve the resulting analysis", while the aircraft manufacturer "hustled in 2015 to catch up to Airbus and certify its new 737 Max [jet]". "There is no justification or excuse from the FAA, which is the certifying authority, to put the blame solely on Boeing. The manufacturer presents a product, in this case an airplane, and it's the responsibility of the civil aviation authority (the FAA) to approve it after it is thoroughly tested", Miceli highlighted. For his part, Durojaiye elaborated that "generally [the] FAA has always delegated the certification of their planes to aircraft manufacturers like Boeing, claiming that they do not have the budget to do all the work itself". "I think it's a failure of a safety oversight and it is inappropriate for a regulatory agency to delegate the certification of an aircraft to its manufacturer", he opined. "It's inappropriate for the Boeing Employees to have too much authority over safety analysis of Boeing jets", the aviation lawyer said. Commenting on the issue, Sean Broderick suggested that "in the case of the Max MCAS system, it appears Boeing did not apply its risk-analysis process well, and [the] FAA did not question it". For his part, Choong-Fook Fong, CEO of cyber security firm LGMS, presumed that "without knowing the scope of FAA testing, it is very hard to determine if the safety assessment covering the components that caused the disaster". "Nevertheless, we have to acknowledge the fact that any tests conducted by [the] FAA (or any authorities) do not necessary warrant complete safety. A compliance assessment basically is a benchmark against a fixed set of standards. Unfortunately in this incident, the deficiencies in the test scope clearly reflected that there [is] still a lot of work [needing] to be done in order to prevent future occurrences", the cyber security expert said. Boeing's Head-to-Head Competition with Airbus According to Broderick and Miceli, Boeing's apparent carelessness was caused by the rush to overcome its major competitor, Europe's Airbus. "The problem here is that Boeing has been in direct head-to-head competition with Airbus A320, and in order to beat the Airbus as far as fuel efficiency (which attracts more customers), they redesigned the previous 737 model and named it 737 Max", Miceli explained. He underscored that "there was nothing wrong with the previous generation, which were fuel efficient to begin with, but again this is a head-to-head competition with Airbus". "In my opinion, Boeing's solution to correct this issue, which is a quick fix update to the software, is not going to fix a problem which lies in aerodynamics, much less restore the trust and confidence in the pilots and flying public". Referring to the Boeing-Airbus rivalry, Broderick explained that both 737 Max and its competitor, A320 neo, were "derivatives of older designs, with the 737 being of course the older of the two". "Airlines are demanding more performance, but also reasonable costs. This forces all manufacturers to make hard decisions when developing new programs. These decisions can lead to compromises, such as Boeing's decision to put larger engines on the 737 Max, that create technical challenges", the journalist suggested. On 10 March, Ethiopian Airlines Flight 302 crashed shortly after taking off from Addis Ababa, claiming the lives of 157 people on board. The plane was heading to Nairobi, Kenya, carrying UN workers, among other passengers. Earlier, under similar circumstances, a Lion Air Boeing 737 Max crashed into the Java Sea within minutes after taking off from Jakarta on 29 October 2018, killing all 189 passengers and crew. On 18 March, France's Bureau of Enquiry and Analysis for Civil Aviation Safety (BEA) announced that after examining data extracted from the black box recorders of the Ethiopian Airlines Boeing 737 Max plane they came to the conclusion that there had been "clear similarities" between the two tragedies. 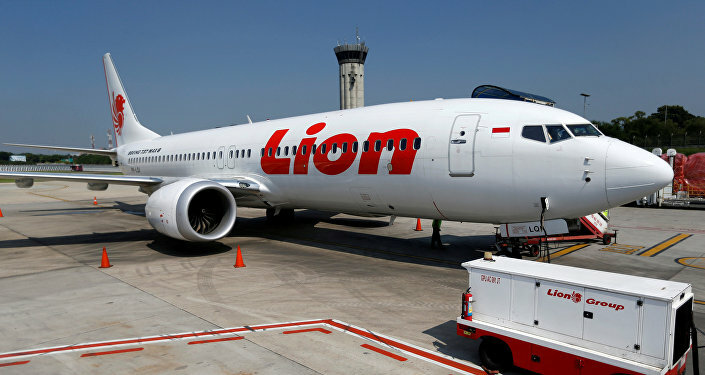 "During the verification process of the FDR (flight data recorder) data, clear similarities were noted by the investigation team between Ethiopian Airlines Flight 302 and Lion Air Flight 610, which will be the subject of further study during the investigation", the BEA said in an official statement.